One thing you never want to do as a referee in a high-profiled sport is be known for making a terrible call, or in this case, not making the correct call. 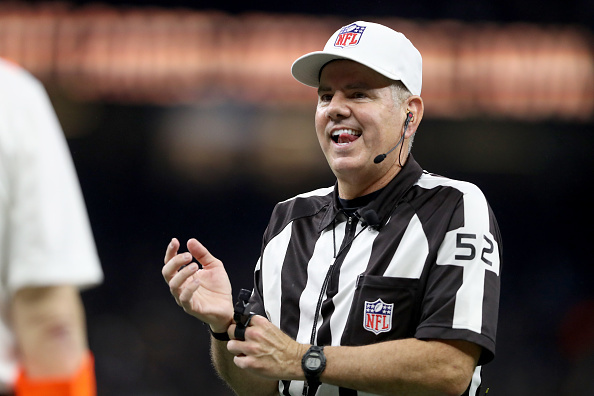 Out of all the refs during the NFC Championship game, Bill Vinovich’s name is one that comes up the most since it was primarily his crew and he was the head referee who missed the most obvious pass interference call in league history. As a result, the Saints were forced to kick an early field goal that allowed for the Rams to drive down the field, tie the game, and eventually win the game in overtime. Even though Vinovich is done calling NFL games until next year, he does, however, call basketball games as well. Over the weekend, Vinovich was officiating a college basketball game last week when some students in the crowd recognized him from the NFC Title game. They then began to heckle him all game long to the point that Vinovich walked over to acknowledge the students and even remove a fan sign. You can only imagine the type of harassment he’s receiving everyday from people who will refuse to let this matter go.